I finally saw the apartments below us. Abandoned with their doors open, each room had its carpet ripped out. On Thursday night (9/12/13), A wall of water had somehow made it’s way across highway 36 and turned our parking lot into a river within a matter of minutes. We worried our cars might float away. But we were far from ground zero. Three, fifteen and twenty miles away things were much much worse in North Boulder, Jamestown and Lyons. 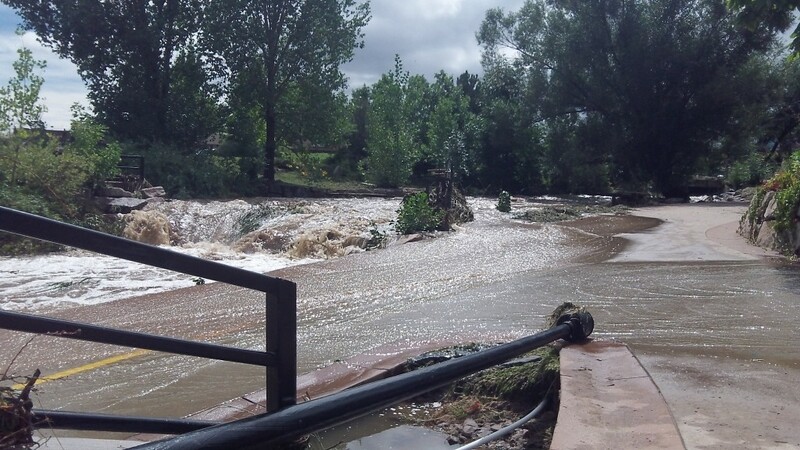 Sandi and I were very fortunate and lucky to escape the flood safe and dry. The trails around Boulder have been ruined and closed so I have been running out on the roads, viewing some of the destruction first-hand. Our thoughts and heart go out to those who lost their lives, those who are still unaccounted for, and those who lost their homes. 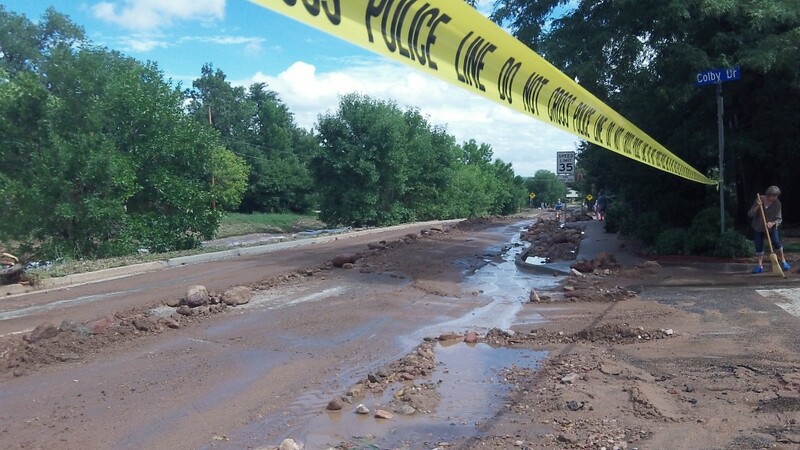 Bike path is taken over with water by Table Mesa and Broadway. 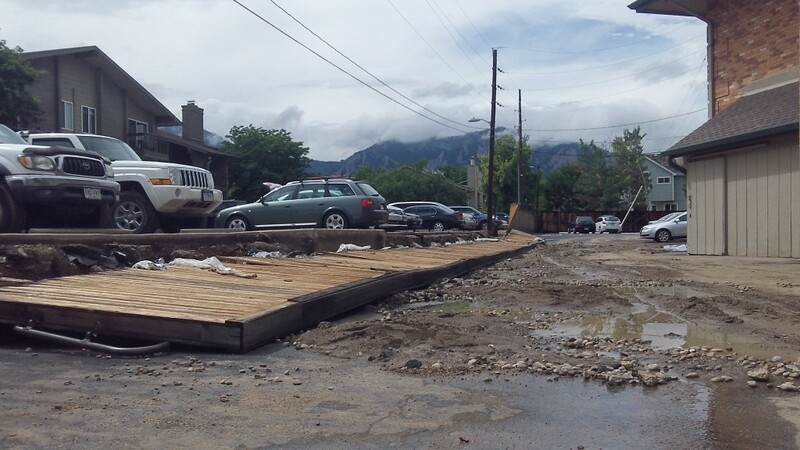 When the sun finally made an appearance today after days and days of heavy rain, the county of Boulder can slowly start to rebuild. Heros were made this weekend with brave rescue attempts and quick thinking. Loved ones were both saved and lost because of this horrific natural disaster. But I know the community here is stong…we will overcome this and rebuild and repair what was lost…we will overcome! 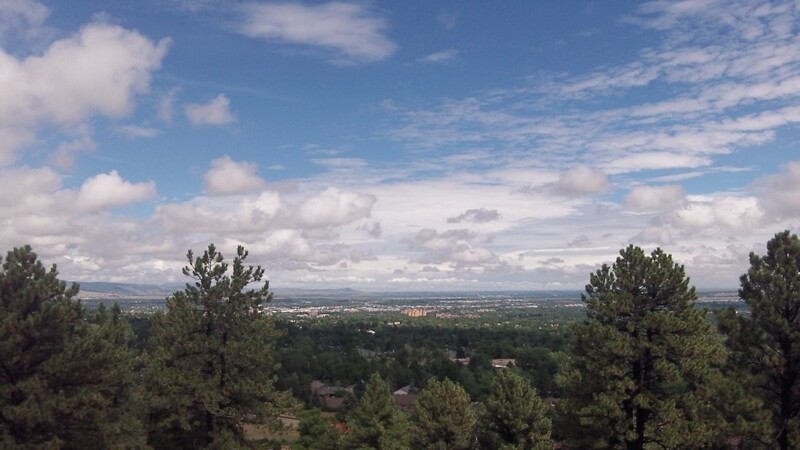 The first rays of Sun to hit Boulder after heavy rain for 2.5 days straight! My God! Very sad! Hope you’ll all be ok soon. We suffered almost the same kind of destruction caused by flood two years ago in Petrópolis (near Rio de Janeiro). It was a big mess but we managed to create a support group to minimize the effect on some families here. Can I help with anything, Sage? Thank you so much for your understanding and support! I was very lucky and am fine (a lot of people are not though). Sorry to hear about your flood two years ago. We have a lot of help here and people are coming together to help out so it is getting much better. Thank you!